This is a scene that has changed beyond all recognition, well virtually. All that remains of this today is the building to the right of the car in the foreground. 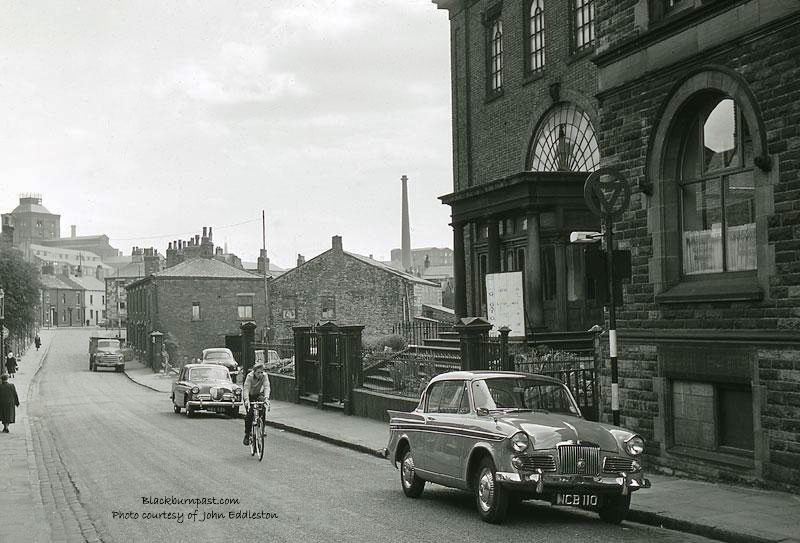 The view is looking along James St into Brown St and the photographer would have been stood (approximately) on the intersection of Ainsworth St and James St. In the distance, where the road veers to the right, just out of sight, would be its junction with Penny St. Behind the photographer would be the little part of the street that still remains, up by the side of St John's Church. 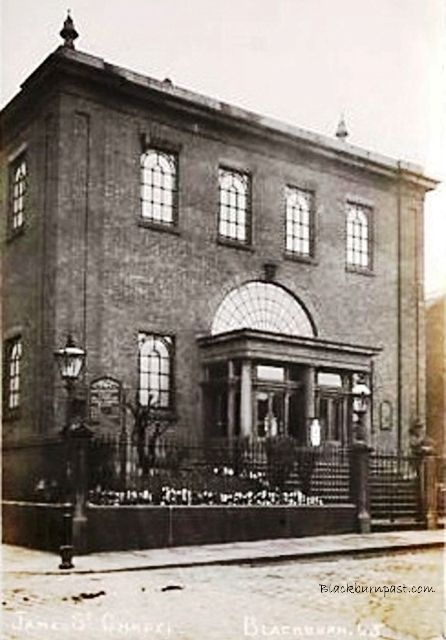 The building with the portico and steps in front of it was the James St Chapel. Towards the top left of the photo, over the rooftops, can be seen the brew tower of the old Swan Brewery on Lark Hill / Moor Street. Below is an old postcard image (1905 / 06) of the same chapel. Postcard courtesy of the CP collection.